Our wedding venue has some creatively amazing spaces to hang pictures for guests to peruse. A few weeks back, I started the hunt through what seemed like the millions of files on my computer and phone to find some of my favorites of us as a couple to display. As I was nearing finishing the collection, I began thinking about how I wanted the pictures to look. As some pictures had been Instagrammed, cropped, colored, you name it, I wasn't sure they were all going to look the way I wanted had I developed them all as traditional 4 x 6 images, nor was I sure that was the look I wanted to go for to fit in with my shabby chic affair. I began thinking, wow, these would really look neat if they were all Polaroid-like images. My search began - Insert Polaroid Fotobar here. Seriously, how cool are these. Exactly what I was looking for. 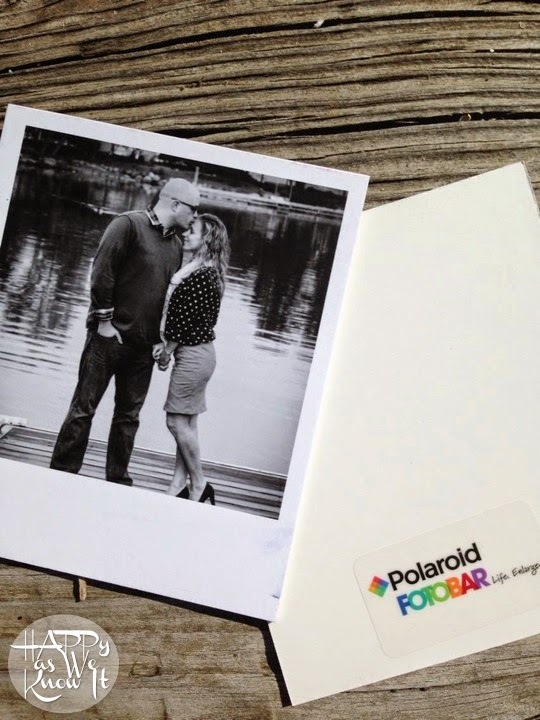 Polaroid Fotobar lets you upload images from your phone, Instagram, Facebook, your computer, you name it to be transformed to look like they were taken on your favorite old-school Polaroid camera. 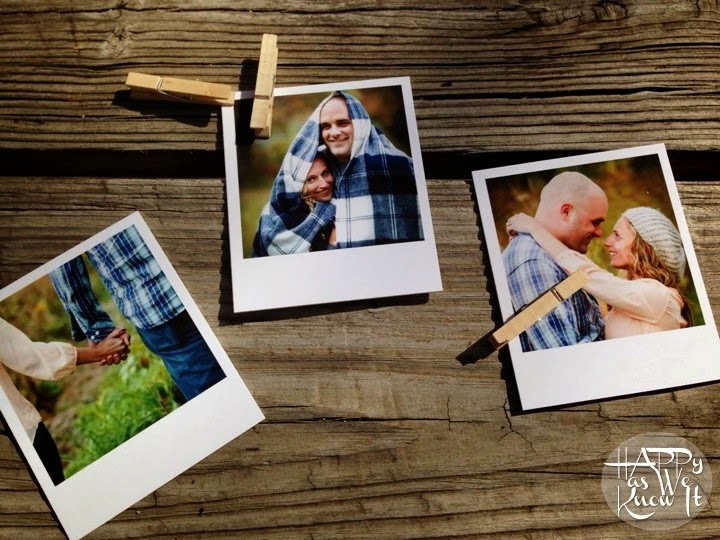 The pictures are printed directly on to this thick, non-bendable mat board that give them the appearance of a Polaroid photo, with durability to last. 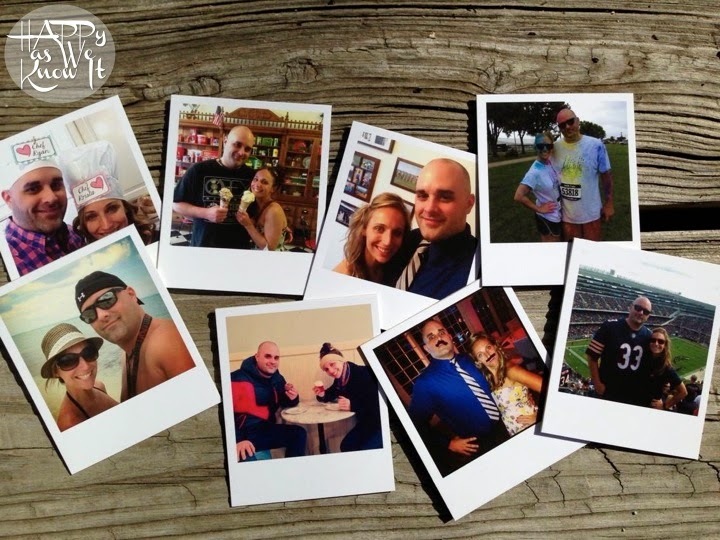 While we decided not to do it on our photos, you even have the option to add a caption on the bottom portion of your photo that is print in a font that seems as if you had written it yourself! 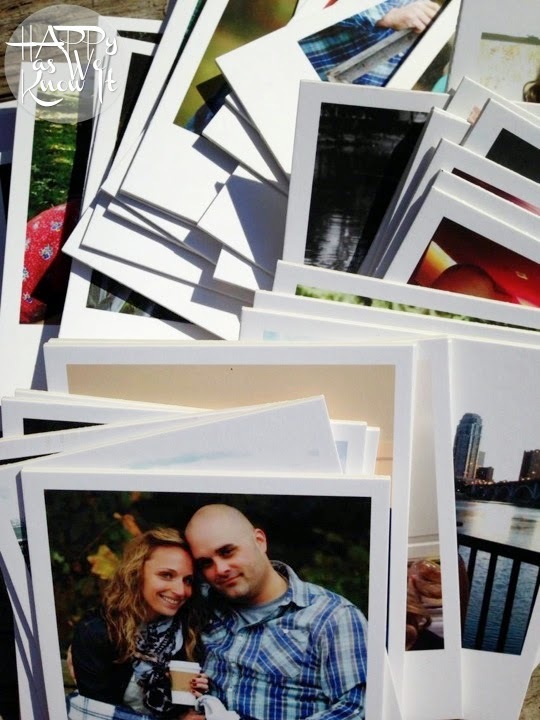 Each image is $1.00 each for your typical Polaroid size, and I believe larger options are available too. The best part is we get to keep them and use them to decorate our new home as well!